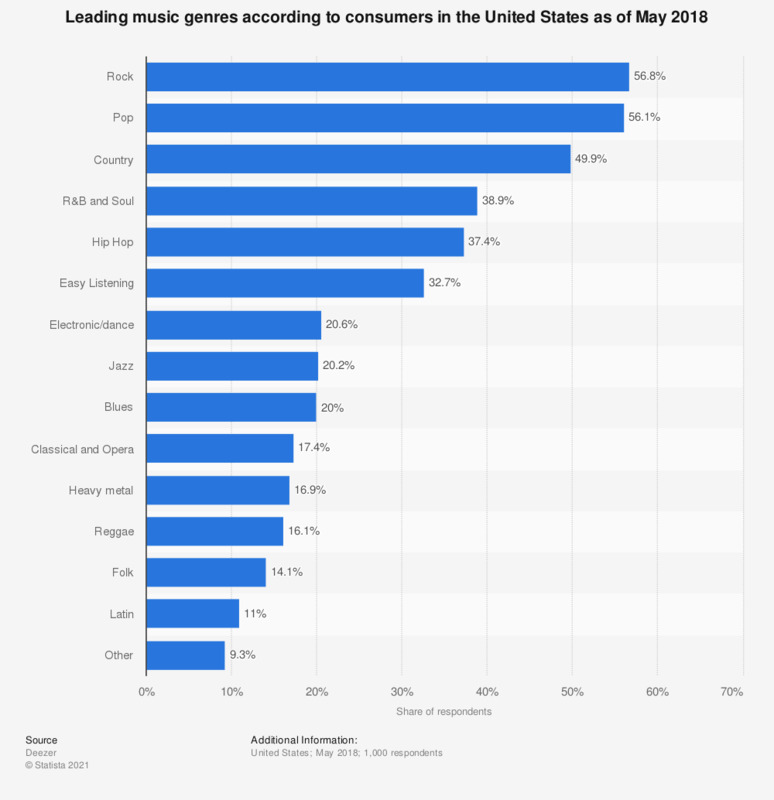 This statistic illustrates the preferred music genres of consumers in the United States as of May 2018. According to a survey by Deezer, the most popular genre among Americans was rock music, with 56.8 percent of respondents stating that they were currently listening to music within this genre as of the date of survey. Pop and country music were the second and third most popular genres respectively, and 20.2 percent of respondents said had a preference for jazz. The question was phrased by the source as follows: "Which of the following genres of music do you currently listen to?"